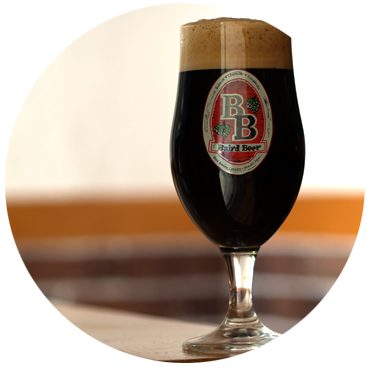 This foreboding Stout unleashes a torrential downpour of hop character within a maelstrom of roasted malt flavor. This monster Stout is not for the faint of heart. A pleasing roundness and satisfying balance offer but the illusion of safe shelter. Navigate cautiously, Beer Drinker-san. ‘It’s in the calm before the storm that the internal fortitude to survive must be summoned.’ These are words of wisdom from our U.S. importer, Dan Shelton, after one too many Dark Skies! Within the Stout category there exist so many styles and permutations of styles it really is quite amazing. Imperial Stout, of course, is the big daddy of the dark world of Stout. 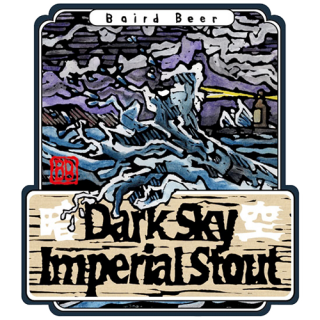 Dark Sky is our annually brewed winter tribute to this tempestuous Stout genre. We think you will find it to be the perfect winter storm of roasted malt flavor and pungent hop character. A pleasing roundness and satisfying balance will offer but the illusion of safe harbor. ’It’s in the calm before the storm that the internal fortitude to survive must be summoned.’ These are words of wisdom from our U.S. importer, Dan Shelton, after one too many Dark Skies!